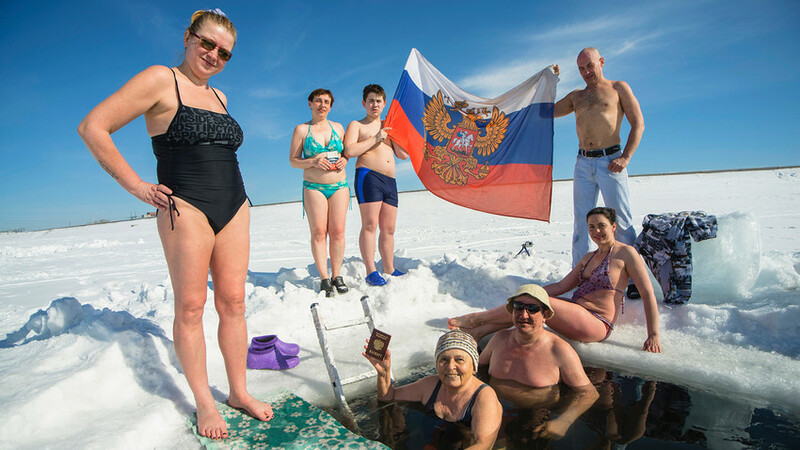 Russian winter swimming enthusiast pose for a photo, displaying a Russian national flag as they celebrate on the day of the Russian presidential election day in Novosibirsk, Russia. 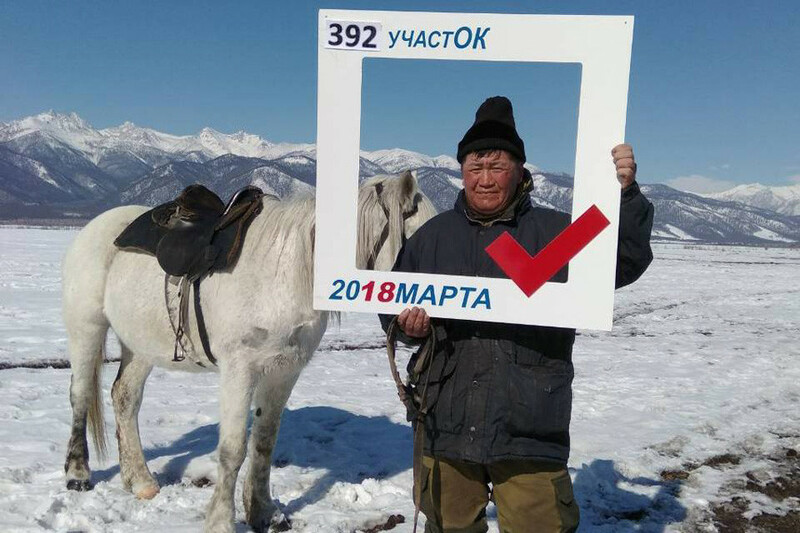 For creative minds, Russia’s 2018 presidential election was another chance to show off their talent. Members of the winter swimming club, “Polar bear,” appeared at a polling station dressed as… well… polar bears. The performance looked funny and bizarre, to say the least. 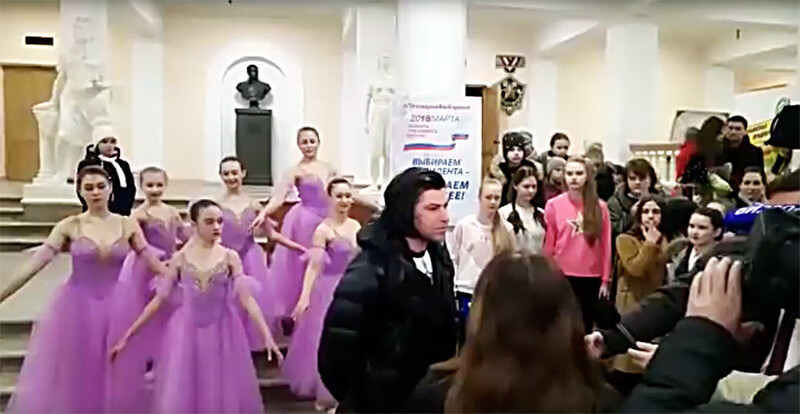 Meanwhile, the former Bolshoi star and ballet dancer, Nikolay Tsiskaridze, showed up at a polling station in the company of at least six women dressed in ballet tutus. 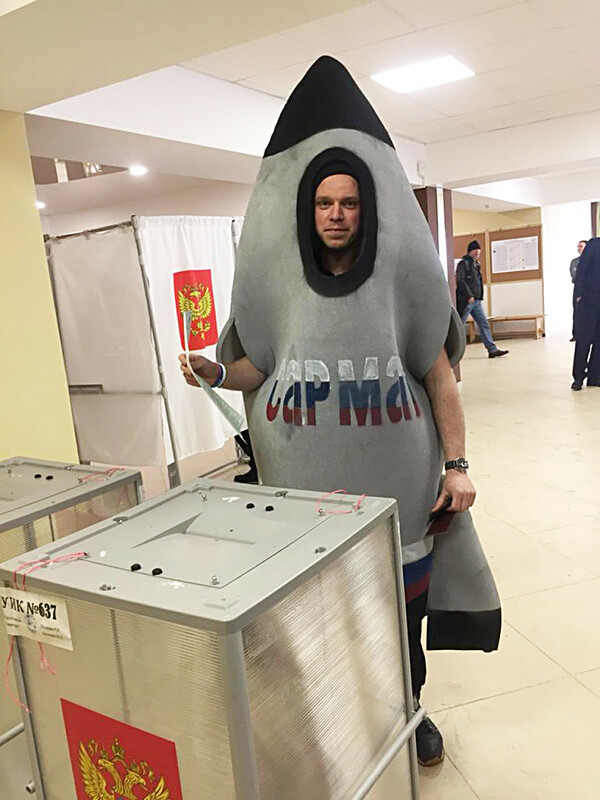 The most extravagant show, however, was staged by a Russian villager who came to a polling station dressed as an RS-28 Sarmat rocket. 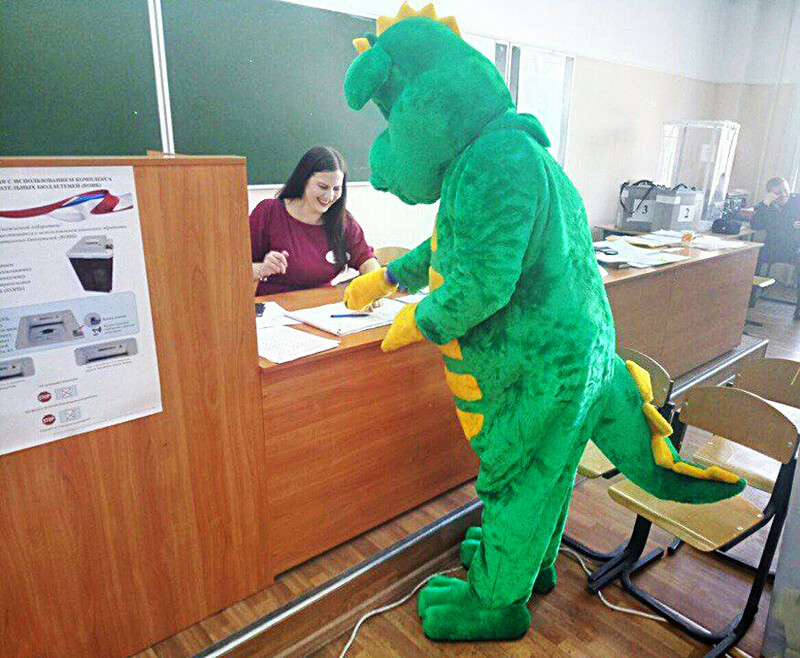 A man from Ryazan (200 km southeast of Moscow) showed up dressed as a dragon. Polling station staff didn’t know why the man dressed as such, but they had to let him vote after he presented his ID and took off his dragon’s head to validate it. 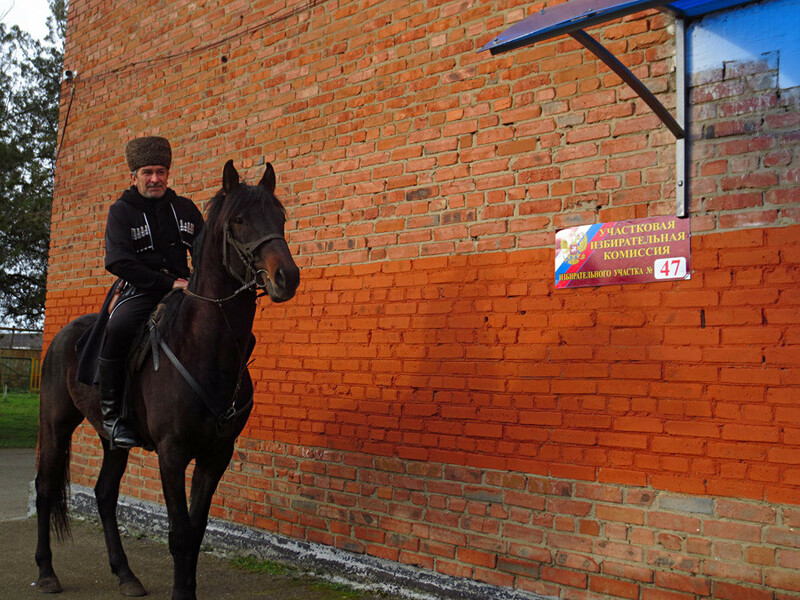 A few daredevils arrived at polling stations on horses as a tribute to ethnic traditions. The process seemed epic and resembled some of Clint Eastwood’s best films. In St. Petersburg, a group of knights came in to vote… in their full outfit. 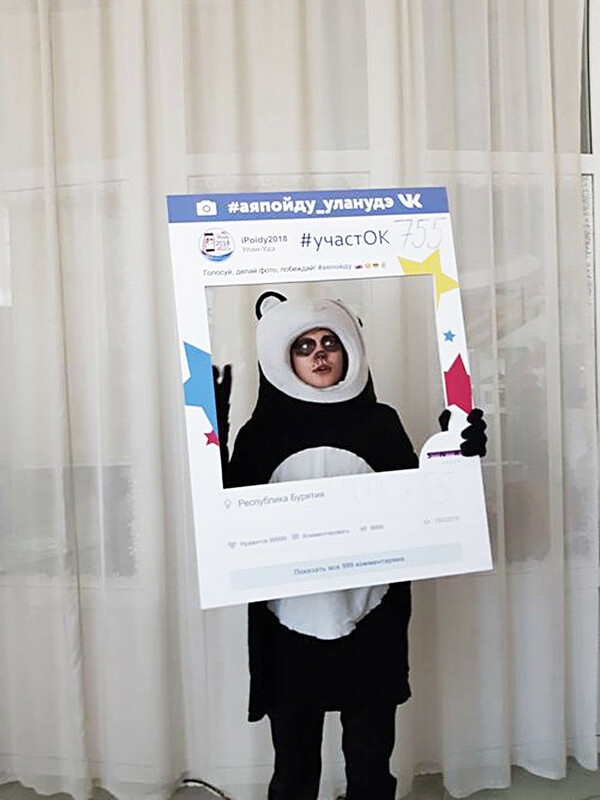 A panda voter was competing for the most creative costume in Buryatia. Who do you like the most? Russians often have fun, even if it's not an election day. Click here to see some epic fails of 2017.